Syrian Peace Talks Are Finally Happening. But Only One Side Is Showing Up. 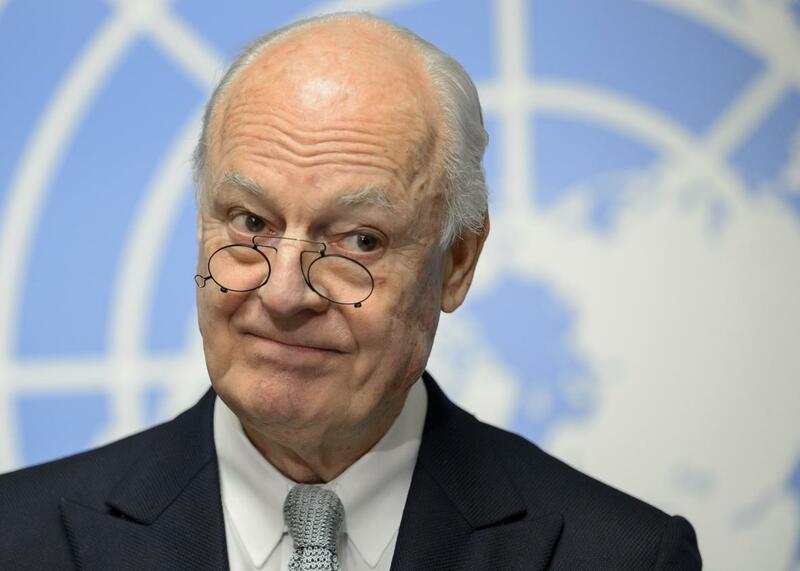 U.N. Syria envoy Staffan De Mistura at the United Nations officies in Geneva on January 25, 2016. After a five-day delay, Syria peace negotiations are moving ahead today in Geneva, Switzerland. The only problem is, there’s not going to be any actual negotiating. The main Syrian opposition bloc, formed in Saudi Arabia last month, has said it will not attend the talks, as its demands, including an end to sieges and government airstrikes, have not been met. A delegation from Bashar al-Assad’s government is still likely to attend, and will hold meetings with U.N. envoy Staffan de Mistura, but with no one for them to actually negotiate with, expectations are set pretty low. They weren’t that high to begin with. Negotiations were due to start on Monday, but were delayed because of the opposition’s objections, as well as Russia’s demand that Syrian Kurds and other groups be included. The Kurds are still being excluded because of Turkey’s objections, which is also problematic given the amount of Syrian territory they currently control. The Syrian opposition made the decision to boycott despite pressure from the United States, which wants negotiations to begin without preconditions. Desperate to reach a ceasefire in a conflict that has created a breeding ground for extremist groups, including ISIS, Washington wants to get the ball rolling on the first peace talks in two years. But even if the opposition bloc had decided to attend, they wouldn’t actually have sat down face-to-face with the Syrian government. Mistura’s plan had been to hold “proximity talks,” meaning they’d sit in separate rooms at U.N. headquarters and he would shuttle between the delegations. Even that now seems out of the question. While the opposition’s demands are understandable, by refusing to even travel to Geneva, they’re handing a small political victory to the Assad regime. The government and its Iranian and Russian backers can continue to launch airstrikes on the rebels and besiege their positions, all the while looking like they’re the ones willing to give diplomacy a chance.